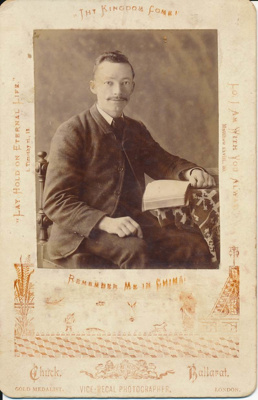 About this objectThe protrait of Harry G. Upham is set on a card which has Biblical texts around the edges. Underneath the photo are the words, Remember me in China and Chuck Ballarat, Vice-Royal Photographer./ Gold Medalist, London, Harry is seated with an open book on the table in front of hime, He has a moustache. 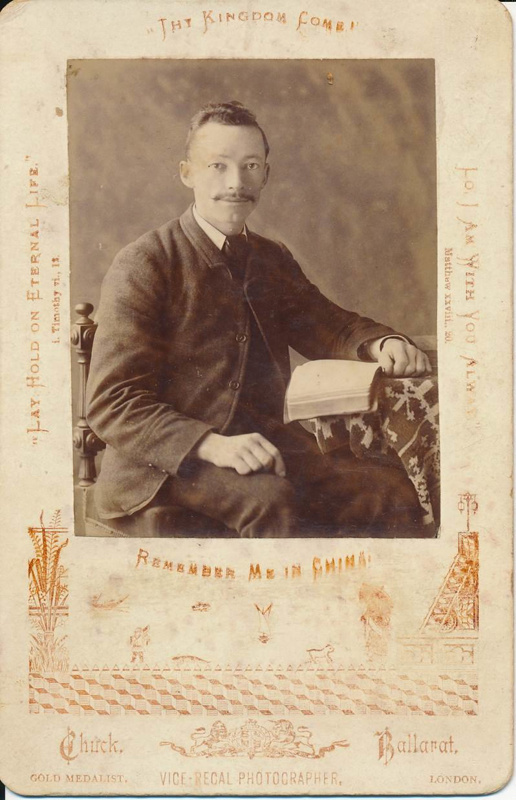 Inscription and MarksOn reverse: Harry G. Upham, Brother of George Warick Upham, Missionary in China, died in China of fever.